Dhanji R. Prasanna is a Sydney-based software engineer. He recently left Google after a nearly three-year stint working on projects like Google Wave. A version of this post first appeared on his blog, http://rethrick.com/, where you can read more about him. There's no shortage of punditry around the future and fate of Google+, a massive social networking effort from Google. Much of it centers around competition with Facebook, and whether or not it will succeed in unseating the latter as the dominant social networking site. I have a somewhat unique perspective on the matter, since I worked under the Google+ project umbrella for a good 6-8 months after Wave was canceled and know many of the engineers and product designers involved in this drama. This is a somewhat contrived and sensational narrative, so let me try and explain what I think the argument is really about. But before you hear my take, let me give you some background. I don't find Google+ all that innovative. It hits all the notes that a Facebook clone merits, and adds a few points of distinctiveness that are genuinely compelling -- but I don't find it all that interesting, personally. To my mind, Twitter was a far greater innovation that continues unchallenged. But before you judge me as harsh: Broad product innovation is not exactly what they were going for, I believe. A few years ago, before Google's CEO cared a whit about social networking or identity, a Google User Experience researcher named Paul Adams created a slide deck called the Real Life Social Network. In a very long and well-illustrated talk, he makes the point that there is an impedance mismatch between what you share on Facebook and your interactions in real life. When you share a photo of yourself doing something crazy at a party, you don't intend for your aunt and uncle, workmates or casual acquaintances to see it. But Facebook does not do a good job of making this separation. This, in essence, is what the slide deck says, and Adams' point is made with great detail and insight. So when Google (GOOG, Fortune 500) began its social effort in earnest, the powers-that-be seized upon Paul's research and came up with the Circles product. This was to be the core differentiator between Google+ (then codenamed Emerald Sea) and Facebook. As part of induction into Emerald Sea, my team got the 30-minute pitch from the Circles team. I listened politely, all the while rolling my eyes in secret at their seemingly implausible naivete. By then I was also growing increasingly frustrated at Google's sluggish engineering culture. I asked the obvious question: "While I agree that Circles is a very compelling feature, this slide deck is public. Surely someone at Facebook has seen it, and it won't take them long to copy it?" I was met with a sheepish, if honest look of resignation. They knew the danger of this, but were betting that Facebook wouldn't be able to change something so core to their product, at least not by the time Emerald Sea got to market. I laughed, disbelieving. Facebook has a hacker culture. They're only a handful of engineers, and they develop with quick, adaptable tools like PHP -- especially when compared with the slow moving mammoths we were using at Google. By that time, 200+ engineers over three months had produced little more than ugly, bug-ridden demos, and everyone was fretting about the sure-to-fail aggressive timeline. Sure enough, I watched as TechCrunch published leak after leak of Facebook going into lockdown for a secret project. On my side of the fence, engineers were increasingly frustrated. Some leaving Emerald Sea for other projects -- and some were even leaving for Facebook. I had the impression that Paul Adams was not being heard (if you're not an engineer at Google, you often aren't). Many were visibly unhappy that his slide deck, the basis for an upcoming book, had been published for all to see. I even heard a rumor that Google was attempting to stop or delay the book's publication. One fine day Paul Adams quit and went to Facebook. I was convinced that this was the final nail in the coffin. Engineers outside Emerald Sea -- a cynical bunch at the best of times -- were making snide comments and writing off the project as a dismal failure before it even launched. Then it happened. Facebook finally released the product they'd been working on so secretly, their answer to Paul's thesis. The team lead at Facebook even publicly tweeted a snarky jab at Google. Their product was called Facebook Groups. I was dumbstruck. Was I reading this correctly? I quickly logged on and played with it, to see for myself. My former colleagues had started a Google Wave alumni group, and I looked in there to see if I had misunderstood. But no -- it seemed that Facebook had completely missed the point. There was no change to the social graph, there was no real impetus to encourage people to map their real-life social circles on to the virtual graph, and the feature itself was a under a tab sitting somewhere off to the side. Then I remembered something the Circles team lead had said: "[We know] the danger of this, but we're counting on the fact that Facebook wouldn't be able to change something so core to their product." I had originally assumed that he meant Facebook would lack the agility to make the necessary technical changes. I was wrong -- the real point was that they would not be willing to change direction so fundamentally. Given such a large, captivated audience, you could hardly blame them. And now, Circles have launched as a central feature of Google+, with a generally positive reaction from the tech press and users alike. Wow. Now, I'm not saying that Circles is the one killer feature to bring down Facebook -- not at all. What I am saying is that these two products are not playing on an even field. Like Microsoft (MSFT, Fortune 500) and its online Office, it is incredibly difficult for Facebook to make fundamental changes to their product suite to answer competitive threats. That's why I feel that Google+ has a genuine shot at unseating Facebook. Of course, there are many other factors to consider. 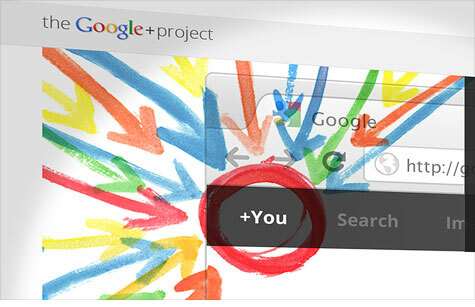 For example, the Google+ sharing console is only ever a click away in any Google property via the toolbar. This is bound to keep users deeply engaged. At the same time, it will probably attract antitrust scrutiny. On the other hand, Facebook already has strong networks effects in its favor. Stealing away even a quarter of its 750 million users will be an arduous, multi-year campaign, and Mark Zuckerberg has time and again shown that he has the uncanny ability to make good decisions under pressure. So maybe Facebook will decide at some point that it needs to pivot fundamentally and make the necessary changes. Both companies will compete fervently for partnerships with major Web properties to feature the "Like" or "+1" buttons. And the mobile ecosystem (with Apple (AAPL, Fortune 500) now getting in bed with Twitter) will have a large impact. There are so many variables at play that many of the things I've highlighted may make no difference at all in the outcome. With those caveats in place, however, here's my prediction: Google+ won't usurp the throne from Facebook. It will instead grow into a strong, competitive player and much-needed alternative, much as Google's Chrome has with Microsoft's Internet Explorer. That would leave Facebook as the largest player, but one without a dominant share of the social networking market. I predict that when this game is done playing, there will be no more thrones.